Why Chi Ma Phu (Black sesame sweet soup) is special ? Chi Ma Phu or Black Sesame was imported to Hoi An f-rom Fujian Province in China when Chinese traders came to this city long time ago. The sweet soup has various ingredients such as black sesame, coconut, rice flour, sugar, sinh a (Radix Rehmanniae) and thc a (Rehmannia glutinosa). So, it is not only considered a delicious dessert, but also a good medicine. Che me den is served hot in small portion; very mild, not too sweet and is claimed to be very good for health. This dessert has existed in Hoi An for many decades and I know, for Hoi An local people, it is attached with their childhood memories. This place has been operating for over 70 years using their own secret family recipe. 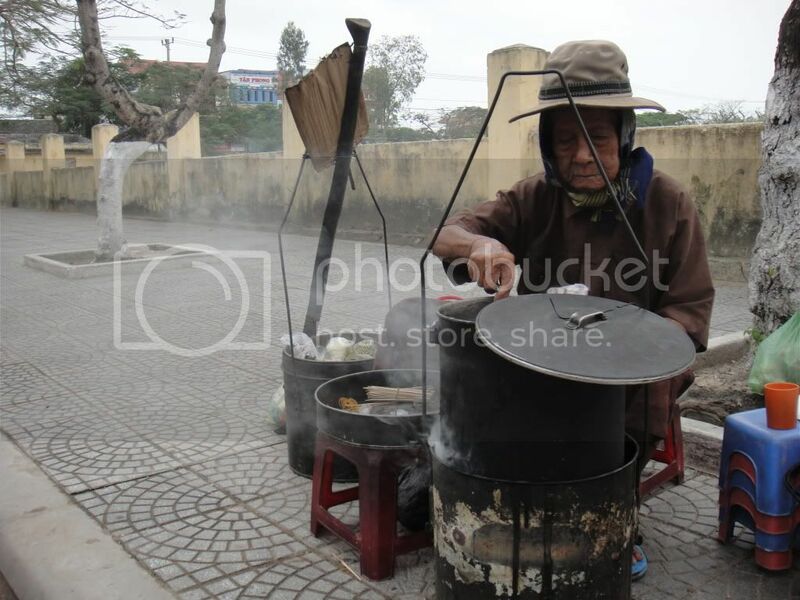 It's owned and operated by the daughter of 100-year-old Mr. Ngo Thieu, a living legend of Hoi An. He's no longer able to run the business himself at his age, so his daughter is carrying on the tradition. They make just enough to sell out every day, so be sure to get there earlier rather than later. How to get to Chi Ma Phu (Black sesame sweet soup)? Nguyen Truong To Street near Hoi An Centre for Orphans and Disabled Children from 7am each day.